"Carlo Strenger has written an engaging and truly original book that offers some provocative ideas about reconstructing psychoanalysis in the context of a fast-changing world. Strenger argues persuasively that the culture of 'Generation X' is very different from that in which psychoanalysis evolved, or even that with which the middle-aged analyst of today is familiar. With compelling clinical examples and wide-ranging scholarship and erudition, Strenger puts forth a vision of a psychoanalysis that innovates, like the new generation itself, without giving up its connection to its own tradition. This book is essential reading for all therapists who want to stay current with the lives of their patients." "Strenger challenges psychoanalysis and culture, daring us to live in new ways yet not to leave ourselves behind. The Designed Self is not only an edifying read but a thoroughly enjoyable one." What can contemporary psychoanalysis bring to the understanding of Generation X, a cohort for whom the trivialization of a dizzying array of possible experiences teamed with the pressure to lead spectacular lives often leads to diffuse feelings of confusion, depression, and disorientation. The Designed Self chronicles Strenger's therapeutic encounters with five extraordinarily gifted young adults for whom the ideal of authenticity long associated with the Baby-Boom generation was supplanted by the need to experiment endlessly with the self. Perpetual self-experimentation, constantly reinforced by the media, came to encompass everything from career choice, to hair color, to body shape, to gender identity. In compelling clinical stories, Strenger introduces us to patients for whom the project of shaping the self had become a cultural imperative no less than an expression of individuality. 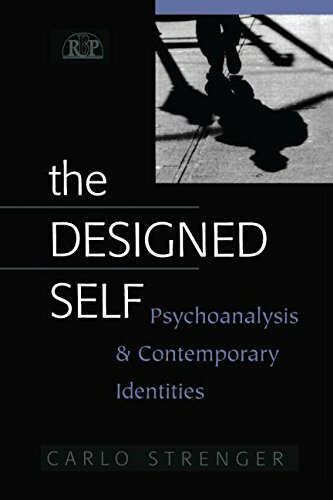 At once insightful and cautionary, The Designed Self investigates how psychoanalysis must change if it is to claim cultural relevance and therapeutic effectiveness in The Age of the Designed Self.